Earlier in April Pauleen Cass, aka Cassmob, published a thought provoking post, To Conference or not to Conference, on the Worldwide Genealogy Blog. In the comments I said that I would think on the questions Pauleen asked at the end of her post and respond in due course and of course I haven't. I will respond to Pauleen's questions here (they would actually make a good geneameme). BTW it would be a good idea to read Pauleen's post before you read my responses. 1. 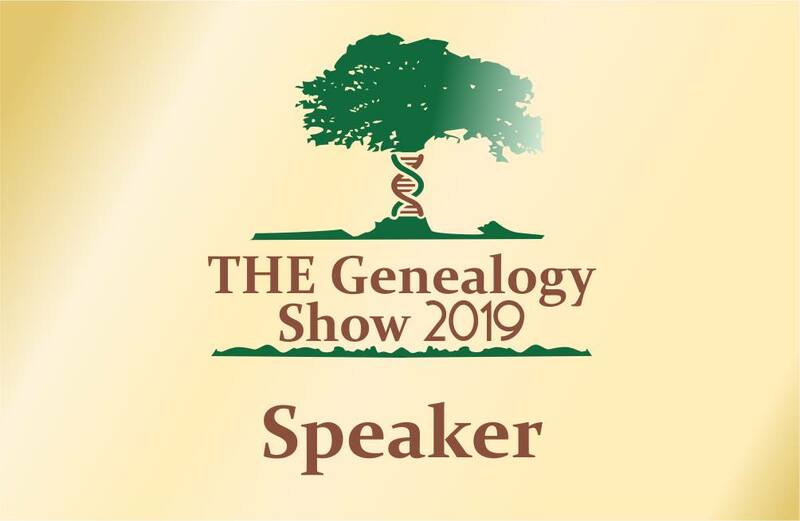 During a final-day Congress panel session led by GeniAus, Josh Taylor mentioned that perhaps the term “society” is out of date for younger potential genealogists. Do you agree? Are you a member of a family history/genealogy/local history society? I hadn't thought of this until Josh raised it. Society to me sounds a bit stuffy, serious, regimented and old fashioned. 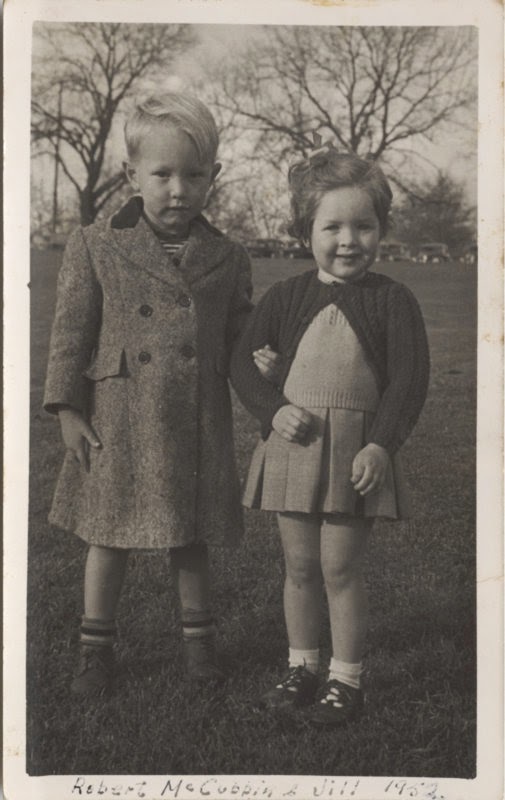 This was why, when recently I was part of a committee responsible for launching a new local family history organisation, I suggested we call it a Family History Group. To me that sounded more friendly, supportive and welcoming. Yes, I am a society/group junkie. I belong to three local groups in my area, our state society, The Society of Genealogists in the UK, two surname societies and a one-place studies society. My budget tells me that I should resign from a few but I only have plans to ditch one at the moment. I am enjoying our new group because we are all on a level playing field, there are no cliques and no people who have held office for way too long. I think there should be a limit on the terms of office bearers in such groups so that enthusiastic newbies are not virtually locked out. 2. Also I wonder if the word “genealogy” continues to fully reflect how we refer to what we do. What is your preferred term when you tell people about your hobby obsession? Is it genealogy or family history? It depends on how one defines genealogy . The purists see genealogy as a record of one's ancestry (or descendants) that basically lists names and dates to show lineage, they do not see genealogy as embellished by stories. On the other hand Family Historians take the research further by seeking out stories of their ancestors. I see genealogy as a dynamic term that now means something different from what it meant fifty years ago, it may well have a different meaning fifty years hence. I agree with the move made by Wikipedia in 2013 and discussed by Nathan Murphy here. I don't get hung up on labels, I just do what I do and enjoy it. 3. What other things do you consider when you make a choice about attending a family history conference? I also consider all those things you have outlined. The program is important, it must offer something to inform, challenge or amuse me. I didn't attend our state conference in Wollongong last year because the program was Illawarra centric and I have no research interests in the area. There were some topics that may have amused me but I wasn't going to put my dollars towards an event that wasn't going to fulfil my needs. I am still trying to decide whether to attend the state conference in Port Macquarie later this year. The local organisers of these state events need to realise that they are presenting to a different audience from their local groups and provide content with statewide interest and speakers who are fresh and new to the circuit. I like to see a conference that embraces 21st century practices and technology while respecting doing things the old way. My criticism of the Canberra Congress program is that it was filled with "Chalk and talk" sessions with little opportunities for audience participation; there were no sessions on advanced use of various technologies for genealogy. State and National conferences also need to offer a strand for society officers and members on management, best practice and ethics. The only conference that I have learned anything new about the application of technology is Rootstech so I will continue to make an annual pilgrimage to Salt Lake City. Speakers are also important. While we have several experts who present on particular topics here in Australia I would like to hear the same topics presented by others, sometimes hearing a different perspective on a topic just makes it come clear. I like to hear new and interesting people, conference organisers could offer shorter sessions times, poster sessions or panel sessions to newbies who may be daunted by being on stage by themselves for an hour. Networking with my genimates is very important to me so I like to have opportunities to sit and discuss issues with those with shared interests. I also like a venue that is in or near reasonable accommodation and has nearby options for restaurants and cafes (for all that networking). I enjoy seeing lots of exhibitors in the exhibit halls at conferences. I want to see small societies and interest groups and educational institutions as well as the big commercial organisations. While this doesn't impact on my decision to attend a conference it can be a value-added feature. 4. Have you been to conferences locally or nationally? Were they of benefit? 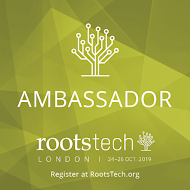 I have been lucky enough to attend Rootstech in Salt Lake City on four occasions and when in the UK I have attended several events. Most useful was a two day event in Somerset learning all about Family Historian software with Jane Taubman. These events were of great benefit. I have been exposed to experts I would never have heard in Australia, I have made new genimates and I have been been educated on new topics. I can recommend ccombining overseas holidays with geneaevents. A friend's wedding in Canberra is giving me an opportunity to spend a couple of extra days to undertake some research in our nation's capital. When I was preparing for my research days prior to Congress last month I didn't give myself enough time to order items from the National Archives of Australia. Why they need five days notice to collect files from their storage facility that is less than thirty minutes drive away I don't know. Surely they do at least a daily run between the Reading Room and the storage facility at Mitchell. The good news is that this time I have ordered the files I wish to see withe plenty of notice. This morning I am on the National Library of Australia website and being thankful for the Add to Favourites red heart. This helpful tool ensures that my time at the library is most productive. I added them to my favourites. What is even better is that when one adds a favourite a little text box appears into which one can put a text note. So this morning as I search the NLA Catalogue for resources little red hearts are showing up in the catalogue for items I have already favourited. How nifty is that! I won't be ordering in books I have already read. I do add the books I read to Librarything but it's so much better to be able to see the little red hearts on the catalogue. If you want a few little red hearts in your life you will need a library card from the NLA and to be logged in to the library site while you search the catalogue. Postscript After spending some time on the site and pulling up a list of my favourites I discovered that I had used this facility back in 2011 but had quite forgotten. I hadn't used it on my visits between 2011 and 2015. Hopefully I will remember to use it in future. My local library is beefing up its collection of genealogy books so recently I have been able to try before I buy. 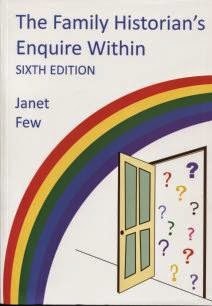 I have been eyeing off The Family Historian's Enquire Within (Sixth Edition) by Janet Few on websites for quite some time, I even had a browse when I was last in England but I didn't purchase it. After perusing the library's copy I have realised that this is a must have reference book for someone with British ancestry. I've never been averse to sitting down with a dictionary and, while I don't read them from cover to cover, I enjoy dipping in and out of the pages as I soak up new and interesting words. Over the past ten days I have enjoyed doing this with The Family Historian's Enquire Within . I doubt that much of what I have read will stick but that's ok; it's been an enjoyable exercise. I have been amused to find lots of interesting words set out in an alpahbetical sequence with clear definitions and descriptions. This work is more than a dictionary, some of the entries are only a few lines while some take up a page or two. Having browsed the book I have learnt that Scrivener is not just a piece of software I use for writing, Muniments are nothing to do with warfare and Dexter was a dyer. The book's purpose is "to point you in the right direction so you can find out more" and it does that admirably. Haaving done a lot of dipping I realise that I need this book on my shelves as a reference book, a place to go when I need to know. The book retails at £12.95 and is available from several sites in the UK; I could purchase it for $39.95 (plu spostage) in Australia and have it on my doorstep in a few days. I want to get the most bang for my geneabuck so I will buy it on my next overseas trip which is looming. I see that it is in stock at The Society of Genealogists, I hope they still have a copy when I arrive for my visit. From time to time I get an idea for a blog name so I go over to Blogger and set up a blog with that name in case I decide to use it in the future. On other occasions I have started a blog as a result of a particular idea, blogged enthusiastically for a year or two and then given up. Whenever I give a workshop on setting up a Blogger blog I give a practical demonstration on how to do so. When I checked this morning I had twenty blogs on the Blogger platform. I haven't checked my two Wordpress accounts yet! As I have been trying to tidy up or decrapify my life in both the physical and online world I decided that some blogs had to go. I exercised the Delete Blog key six times. Please join me in saying farewell to these six blogs. It's been a wild week here in Sydney with dreadful storms and lots of rain. Our property is waterlogged and the dam is overflowing as was the list of blog posts in my Inoreader RSS feeds. Being forced to stay indoors gave me plenty of time to review the many posts that presented themselves. In this week prior to ANZAC Day I could have filled this list with stories of bravery but I deliberately stayed away from those stories. I could not single out one story from many about our brave men - there were so many. 9. James asks how our files are stored. Why John James Ball went to Brisbane in 1916 to enlist in World War One has puzzled me for quite some time. When I was poking around earlier in the week and helping a grandchild with his ANZAC homework I found my answer. I uncovered documents revealing that John James Ball had endeavoured to enlist in Sydney on 8/9/1915 and 21/12/1915 (aged 43 years 4 months) and was rejected each time due to his "defective eyesight". On his successful attempt to enlist in Brisbane on 14/6/1916 John James claimed that he was 41 years 4 months, he had somehow gotten younger by two years. He was actually 50 years and 4 months on enlistment. Who was this man who was so anxious to join the services? John James BALL the son of James BALL (1837-1911) and Betty CLEGG (c. 1835-1878), was born on 2 January 1866 in Passmonds, Spotland, Rochdale, Lancashire, England. John's father James was a self-made man in Rochdale, who worked tirelessly for a children's charity and was prominent in the Temperance League. John worked as a warehouse man probably in his father's business and lived with his family in Passmonds, Spotland, Rochdale until he married Emily ROYDS on 16 May 1887 in Baillie Street Chapel (United Methodist). John later worked as a wool salesman and a woolstapler, probably still with his father. 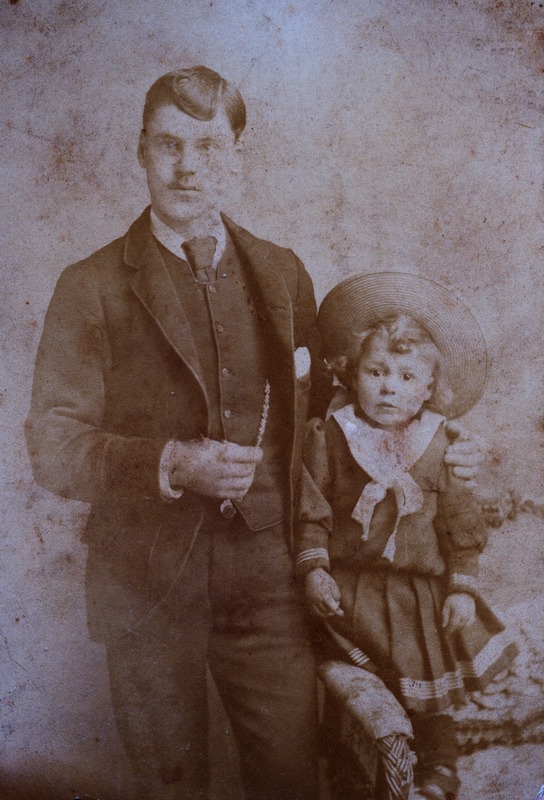 John and Emily lived in Rochdale where their four children Hannah Kathleen BALL (1887-1974), James BALL (1890-1931), Fred BALL (1897-1972) and Emily Zara BALL (1899-1959) were born. Both James and Fred served in the Australian forces in World War One. John first travelled to Australia per Afric in 1906 and again per Suevic in 1908 as a wool buyer, John may have stayed in Australia from 1908. After 1910 he worked as a wool classer at the Challenge Woollen Mills in Liverpool, NSW, Australia. It appears that he and Emily were not on good terms by this stage. 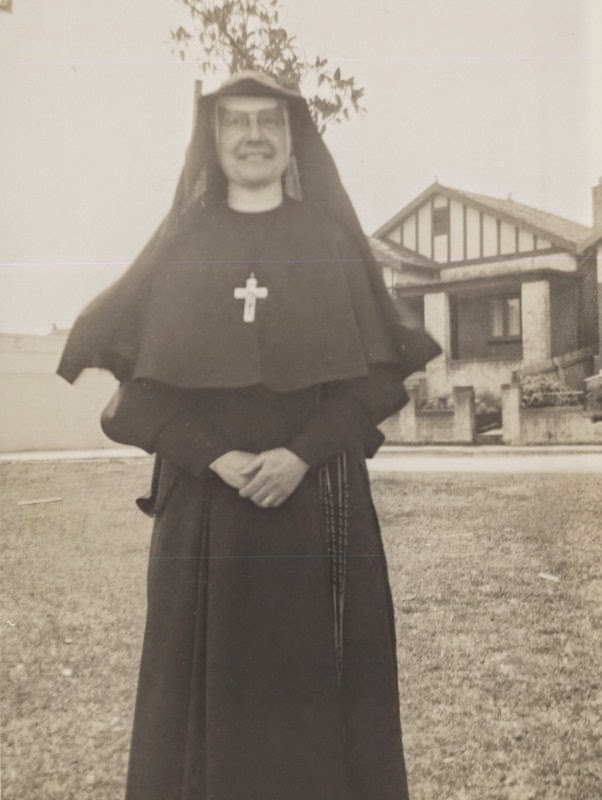 In 1911 Emily and the two younger children came to Australia, in 1912 married daughter, Hannah and her husband arrived and James who was in the Royal Navy deserted HMS Forte and made his way to Australia. By 1912 the Ball family was settled in Liverpool, NSW. Although James and Emily acknowledged each other as husband and wife and both gave their address as George Street, Liverpool I cannot ascertain whether they co-habited. Interestingly James Ball Senior made generous provisions in his will for Emily but left little to John James. Several newspaper articles found on Trove indicate that John James (who to confuse matters was also known as James) was fond of the drink, something his teetotalling father would have not liked. James also appears to have used colourful language and enjoyed a fight. From 1910 John's name regularly appeared in the local paper. James Thomas KAY, so an elderly relative told me years ago, was "Grandmother's Fancy Man". 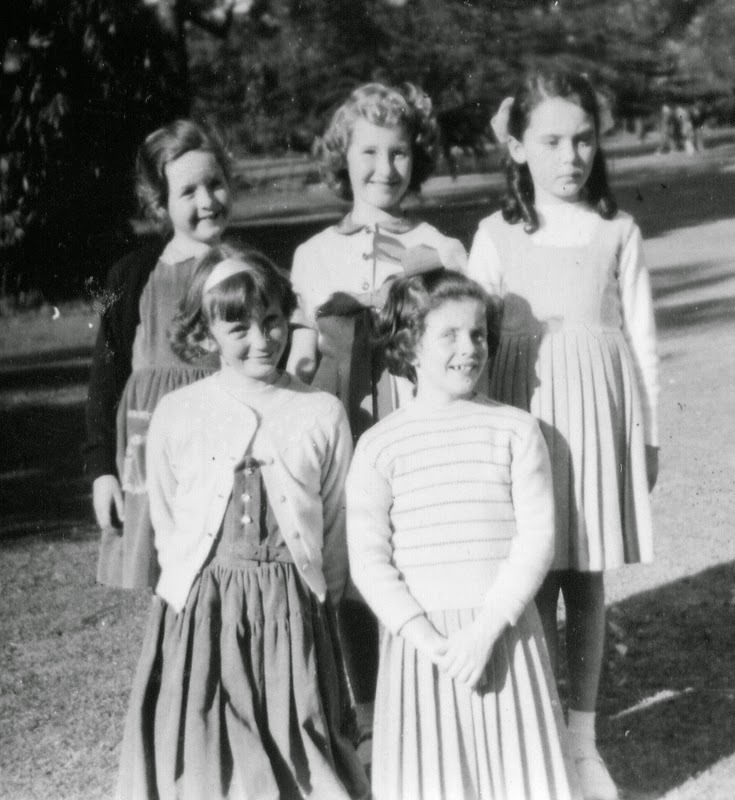 Kay, who was many years younger than Emily, emigrated with her and the children on Suevic and lived in the Ball family home until Emily's death. One wonders why John assaulted James Kay! I can only conjecture why John, who had been deemed medically unfit and was over age, joined up but he certainly demonstrated determination. After completing four months training in Australia, John embarked on HMAT A36 "Boonah" on 21 October 1916 in Brisbane. John's Service Record at the National Archives of Australia indicates that he arrived in England and states "owing to severe attacks of rheumatism in legs was unable to do full duty". John never saw active duty and, when he was not in hospital, was employed in camp in England. He was returned to Australia in September 1917 on HMAT Borda for discharge with the cause recorded as "senility and rheumatism". It seems that John still wanted to serve "King and Country" so he enlisted in the Home Service as a Concentration Camp Guard on 31 January 1918 at Holsworthy, NSW. Hecremained in that role until he transferred to the AIF Special Service 14 May 1919 in NSW. His new role saw him as a guard escorting prisoners of war back to Europe on Willochra. It doesn't sound like it was a picnic for this man who was now 53 years old. John returned to Australia on Euripides and was disembarked on the 24th October 1919 and subsequently discharged. John James' only newspaper mentions after his discharge were related to business so I can only assume that he lived quietly. He entered the State Hospital and Home, Liverpool some time around 1937 and resided there until his death from senile myocarditis, arteriosclerosis of coronary arteries and prostatic hypertrophy on 15 May 1950. He was 84 years old. Although he was not a war hero John James Ball demonstrated, through his determination to enlist and continuing service, a commitment to serving his country. John James Ball was a bit of a larrikin, I'd like to have met him. As a school holiday task one of the grandchildren needed to compile a list of his ancestors who had fought for Australia in the two World Wars. His school is collating a list of servicemen and women from the school's families for an ANZAC Day commemoration. What a good activity this is to make the ANZAC story relevant to the young men at the school. Of course, as the family historian, the task of collating the list fell to me. I restricted the list to direct ancestors and uncles as it would have been too much for the little chap to include all the cousins. Today I was pleased to be able to email a spreadsheet to my dear seven year old to take into school on his first day back after holidays. When I told my daughter what I was doing she asked if I could also share it with her family so I thought I'd post it here for all our children and grandchildren to see. ... and as I like to think I'm not a fool I took my time in submitting DNA samples to Family Tree DNA. It has been refreshing to hear both at Rootstech and AFFHO Congress that experts suggest this as a good testing company. Mr GeniAus and I purchased our kits in April 2011 and finally submitted our samples in February this year. Now four years after purchasing our tests I have my Family Finder and mtDNA results back and Mr Geniaus has his Family Finder results, his Y-DNA results are not yet in. We had also asked a cousin to test and she did so promptly back in 2013 but, as I was ignorant, I only ordered an mtDNA test for her. I need to cough up another $US99 and ask her permission to do the Family Finder test on her sample so I can compare common matches. 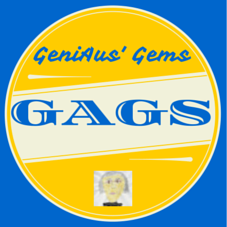 I have spent several hours today negotiating the Family Tree DNA site and uploading gedcoms, surnames and locations and earliest known ancestors for both Mr GeniAus and me. As I am scientifically challenged I am hoping that he will learn along with me and even take on communicating with his matches. I have been to several talks about DNA but still have limited understanding but think that having some personal results will help me learn. Tonight's bedtime reading will be the latest edition of Kerry Farmer's booklet on DNA. 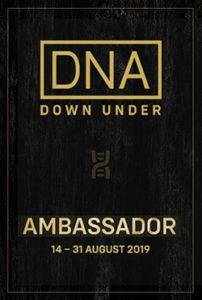 I recently complained about the cost of BDM certificates but these DNA tests are really rich, I may have to forgo a holiday so I can fund all the tests I need want to ask relatives to take. I think I'll get my Mum to test first but, as she's a bit of a sook, I don't like my chances of getting decent samples from her. I have a couple of first cousins in my sights especially the one who shares my four grandparents (I am an only child). Now that my results are in I can see myself becoming a Haplogroupie. Warning: Control +Z is a keystroke combination I use regularly to undo something I didn't mean to do. This morning as I was catching up on reading my blog posts in Inoreader I made the discovery that when Control +Z won't recover what was deleted in my Inoreader folders (BTW I still love Inoreader). There were 47 posts in my Genealogy - ANZ folder when I accidentally pressed "Mark as read". So 47 of the posts I was considering for this week's collation are gone, I may have picked some of them up via posts on Google+ but i will have missed some. Nevertheless I still have a good collection to share from my Evernote files. 1. Thanks to Kirsty for telling us about WDYTYA Live Day 1 in Birmingham. Wish I was there. 2. A death in the family caused Fran to reflect on death certificates. 4. Patsy's "enthusiasm for genealogy research has returned". 5. James highlights a case of inflation in Sydney. 6. "the more you put in, the more you get out" says Janet. 8. Silent achiever Merron celebrates a blogiversary. There have been some beautiful responses to Alona Tester's When I was Young Geneameme, I couldn't single out one for this post as they are all Gems. A Google search will find several of them. Although I have hung up my Official Congress Blogger hat I couldn't resist asking some of my genimates to share their thoughts on Congress 2015 in a Google Hangout on Air last night. As well as hearing about their favourite speakers and what inspired them the panelists last night shared some ideas to make Congress 2018 even better than 2015 and then put forward some compelling reasons as to why a genie shoould attend a Congress. During the Hangout Fran talked about connecting with young people. At the moment I have a 14 year old granddaughter staying with me. She saw me preparing for the hangout and asked what it was, I tried to explain. This morning as we were having breakfast in bed she asked how the hangout went. As I had my phone beside me I connected to Youtube and played some of the hangout for her. Her reaction "That's cool". Made me think about the way we share family stories, perhaps geneavlogging is the way to go. Those who joined me and shared their opinions made this Hangout rather beaut. Thanks for your generosity. Please watch the Hangout right here. My son posted this to me on Facebook recently. I thought it was quite funny so am sharing. It's good to see he's interested in my activities. What's the difference between Goldilocks and a genealogist? A genealogist is interested in forebears. On New Year's Eve I talked about the Genealogy Do-over and my reasons for not taking part. I said " So for my do-over I am going to keep puddling along reviewing work from years ago, revisiting and scanning some of the records I have stored away in folders (Mr Geniaus found some gems today that I had completely forgotten about), recording what I see with a pair of more experienced eyes and revising what I have already recorded". I have been slowly revisiting the oldest records in my Family Historian database as it is easy to sort by "Last updated" and I have been working through those, I have looked at all that have not changed since my import from The Master Genealogist! I have fixed typos, added some sources and moved sources from the "Notes" field into the "Sources" field. Today, when I uploaded a new gedcom to my GeniAus website, I calculated that since my last update at the end of January I had made changes to 520 records. Considering that I have had an overseas trip in the interim and have attended two major Conferences I'm rather pleased with my progress. Concurrently I have been pulling old vital records out of my folders, examining them for further clues, scanning them and getting ready to store the hard copies in archival quality folders and sheets. I have ordered a few missing vital records for direct lines ($$$=ouch). There is still a long way to go but I am happy with my decision to Revisit, Review and Revise. This post is directed to those who read or write Wordpress Blogs. Do you enjoy some of the Wordpress posts you have read? Do you want to acknowledge the bloggers for their efforts but are too shy or don't have enough time to write a comment on the post? Are you aware of the little Blue Stars? Blue Stars are found at the bottom of many Wordpress posts. When I read this blog post this week I scrolled down to the bottom of the post and clicked on the Little Blue Star to indicate that I "liked" the post. Blue star turns white after "Liking"
I have gotten into the habit of doing this for most Wordpress posts I open (I don't open all that appear in my RSS feeds). I want to let the blogger know that someone out there in cyberspace is reading what they have written and appreciates their efforts to contribute to conversations in the geneasphere. Some people who use the blue stars are not so liberal as me. They may just "Like" posts that they agree with or that they find exceptional. Most of the posts on my Wordpress blogs must be unexceptional as the number of "Likes" I receive is only a tiny percentage of the views my posts receive. As a blogger I get a buzz when someone "Likes" one of my posts. Another reason that people don't use blue stars is that they read posts in their RSS Feeds and do not open the posts. Might I suggest that, if you find a post thought provoking or exceptional, you open it in your browser and "Like" it. Blogging is a two-way street and we should provide means to encourage two-way communication. I find it frustrating when I come across a Wordpress post that does not give me an option to "Like" it. Please consider adding this facility to your blogs so that readers can give you feedback. Not long after it was launched in November 2014 I joined The Surname Society, an online organisation, and soon afterwards registered my CurryAus surname study with them. A few weeks ago I was approached by a Committee Member of the Society asking me if I would write " a regular column in our quarterly newsletter", The Surname Scribbler. Naturally I was thrilled to be asked so replied in the affirmative without hesitation. As the deadline for the 3rd issue of the Surname Scribbler approaches I am wondering what I have done. Having perused the first two issues of the newsletter (that's a perk of membership) I realise that I am in exalted company, the articles in the first two issues have been well researched and referenced. I anticipate that my column will be on the lighter side, I'll write about my geneajaunts, the geneaevents I attend, the genimates I meet and perhaps share details of my surname study blunders. Thanks to the Surname Society Committee for their invitation, I look forward to having a small role in this 21st Century Society. You can join me in the Society for just £GBP5 per annum - you don't have to register a surname (but there's lots of help and no pressure if you do) and you will get four issues of The Surname Scribbler each year. From Alona at Lonetester HQ comes this Geneameme. Alona Said: "So if you’d like to record a little of your own childhood history, feel free to take part in my “When I Was Young” geneameme." I'm calling this the When I Was Younger Geneameme because, although I am quite old, I still feel young. I have my Baby Book from the Truby King Clinic, the congratulatory cards and telegrams my parents received on my birth, my teddy bear, my gold golf bangle and a couple of dresses. There are a few photos of me around too. The earliest photo of me. Dad wouldn't let Mum carry me in case she dropped me. 2. Do you know if you were named after anyone? My mother ignored tradition and gave me a name that was fashionable at the time of my birth. 3. And do you know of any other names your parents might have named you? The other name my parents considered was Julie. I have never really liked my name and regularly asked Mum if I could change to my second name. 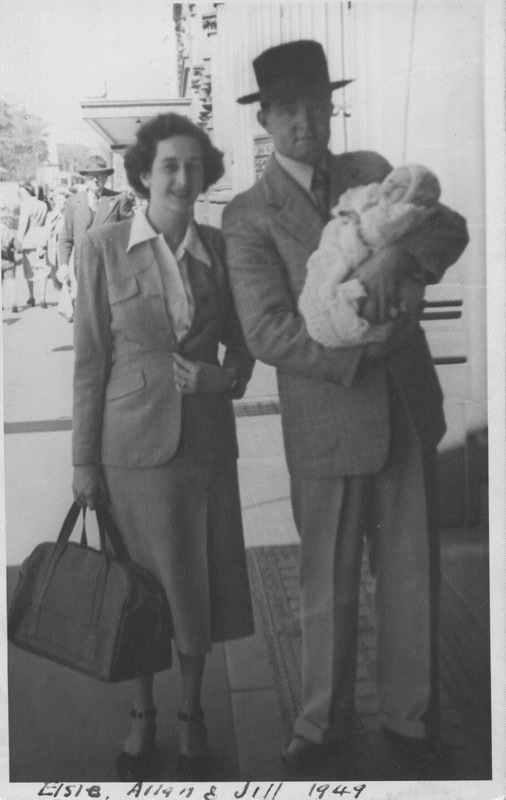 A holiday to Adelaide and first aeroplane ride with my Mum when I was around three. 5.Did your parent/s (or older siblings) read, sing or tell stories to you? Do you remember any of these? 6. When you were young, do you remember what it was that you wanted to grow up to be? A nurse. 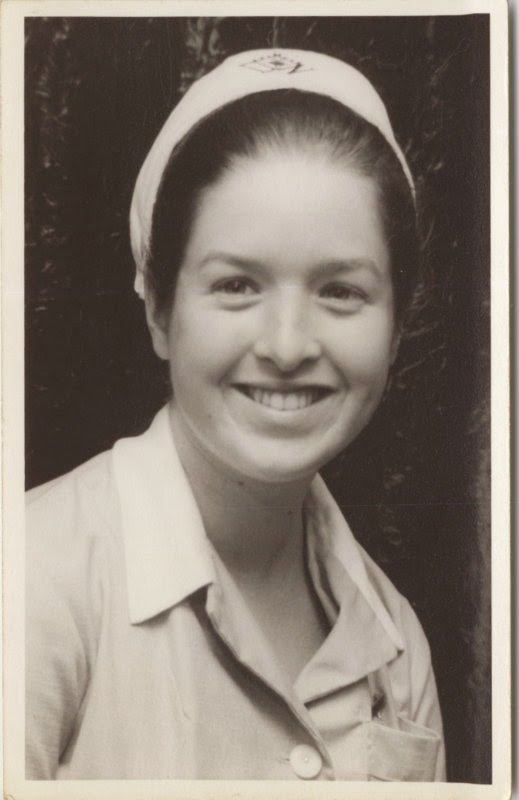 I started nursing when the training was done in hospital, I lasted about 15 months. Night shift did get in the way of my social life. 7. Did you have a favourite teacher at school? No, some were kind, some were cruel and some were generous - especially The Sisters of Mercy who regularly gave me 6 cuts when I was in primary school. The Sisters of Charity when I was in secondary school were not into corporal punishment, they just banished me from class to to the library. No wonder I ended up being a librarian. 8. How did you get to school? In primary school I walked but when we moved house I caught two or three buses depending on if I felt like a one mile walk in addition to two buses. Sometimes my Dad picked me up in the afternoon but I always had to get myself there in the morning. 9.What games did playtime involve? Brandings, Chasings, Fly, Hide and Seek, Hopscotch, Hula Hoops, Queenie, Simon Says, Skipping,Tennis - if we could get one of the school courts, Yoyos. 10. Did you have a cubby house? 11. 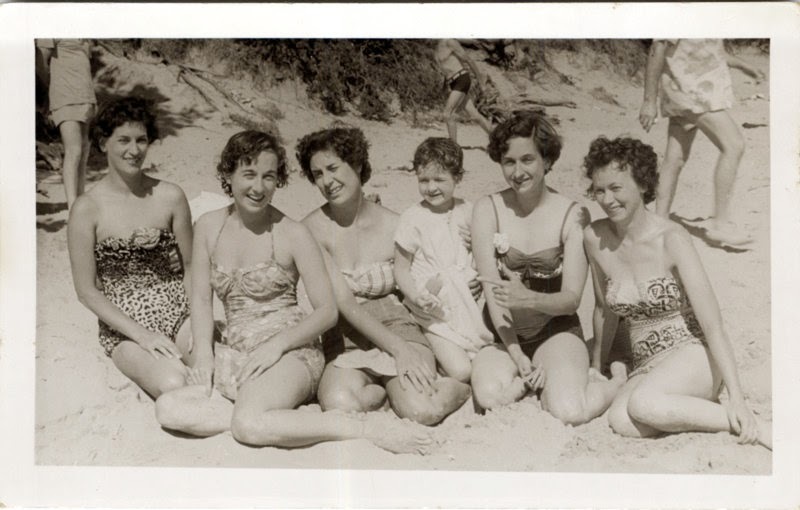 What was something you remember from an early family holiday? Sunburn and mosquito bites. Swimming and sand. Aunts, Uncles and cousins having fun together. Being carsick going to and fro. 12 What is a memory from one of your childhood birthdays or Christmas? My friends in second class were impressed when I had a party in the restaurant at Sydney's Botanical Gardens. 13. What childhood injuries do you remember? A chandelier light fitting fell on my head. My Mum wrapped my head in a towel, raced out into the street, haled a taxi and took me to St Vincent's Hospital to be stitched up. 14. What was your first pet? 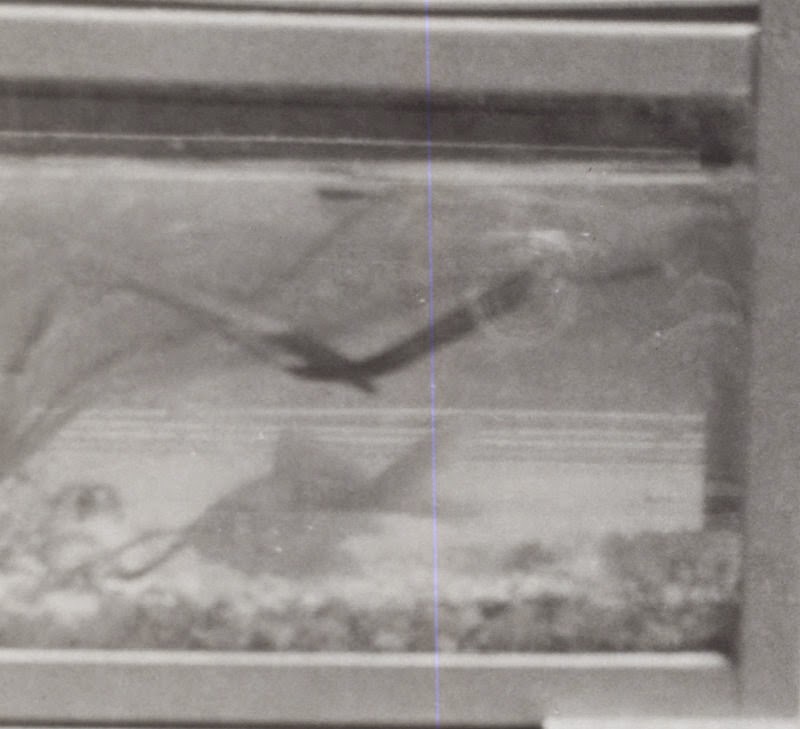 Ethel the goldfish who lived for ages (I thik she may have been Ethel Mark 1,2,3, etc.) Nanna was always disappointed that I didn't name one of my dolls ater her so when I got the goldfish I named her Ethel for Nanna. 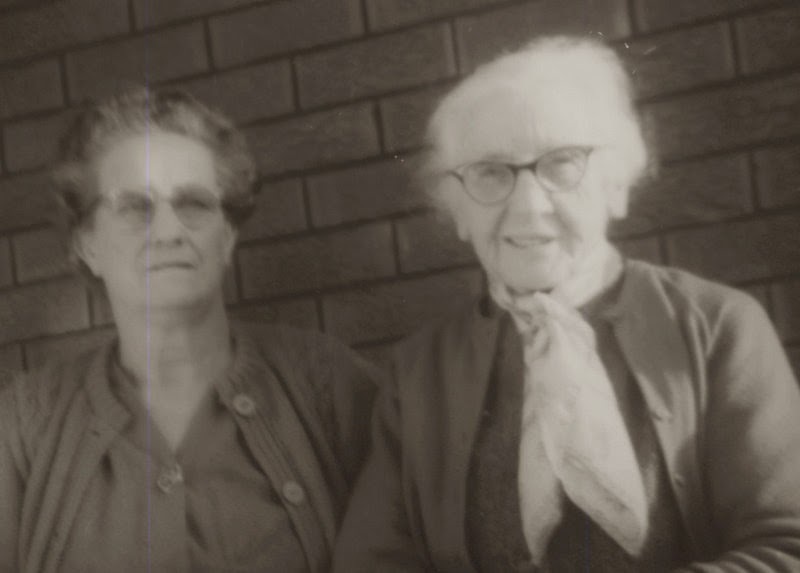 Both of my Nannas told me stories, I spent quite a bit of time with them in school holidays as I had a Mum who went to work and that was unusual in those days. Oh, how I wished I would have paid more attention to my Nannas' stroies. 16. What was entertainment when you were young? Family get togethers with singalongs. Movies. Board Games. Reading. Playing Poker and Rummy for money with my Nanna. We visited my paternal grandmother's home for lunch every Sunday until I left school then I was let off the hook. I remember when we got a fridge. That meant we didn't have to buy ice-cream from the corner shop. Mum then started amking her own ice-cream that was very icy. We didn't get a telephone until I was a teenager, prior to that I used to phone my friends on a Sunday when I visited my Nanna. The VCR, Microwave and Computer didn't appear until I was an old married mother. 18. Did your family have a TV? Was it b&w or colour? And how many channels did you get? I remember watching TV through the window of the electronics shop in Kings Cross. Dad found the Davis Cup fascinating and we stood there for ages watching it. We didn't get TV until I was around ten. There were three channels in Sydney at the time. 19. Did your family move house when you were young? Do you remember it? We moved from a flat in cosmopolitan Kings Cross to a house in the suburbs when I was about nine - that was quite a culture shock although it was nice to have my own pink and white bedroom. I was the only natural disaster in my family. 21. Is there any particular music that when you hear it, sparks a childhood memory? Alexander's Ragtime Band. My parents used to play this rousing tune to put me to sleep - there were no lullabies for Jill. Traditional Irish songs and Catholic hymns that my grandmother used to sing to me. 22. What is something that an older family member taught you to do? Nanna taught me to crochet and cross-stitch, Mum taught me to sew, Aunty Lil taught me to cook. I was remedial in all of these areas. Aunty Eileen took me to ballet and tap lessons each Saturday. In spite of Mum's best efforts Dad taught me some colourful language. Mum taught me to shop, she was a great teacher. 23. What are brands that you remember from when you were a kid? Pears Soap, Lux Flakes, Reckitts Blue Bags, Cobbers and Freckles, Cahills Caramel Sauce, Shelley's soft drinks - Snowcap Champagne was a favourite. Autographs, Stamps, Beatles memorabilia. Mum also threw all my Beatles scrapbooks out but I saved my Autograph Book. 25. Share your favourite childhood memory. Before I resign from my position as an Official Blogger for AFFHO Congress 2015 I must write my last post. It seems apt to use the title of the song that the organising committee farewelled us with on the final day of Congress as the title of this post. As has been my practice after some events I attend I will use Edward De Bono's PMI scaffold to sort out the random thoughts I have about the event. The organisation was superb - what an energetic and friendly team. The venue was convenient to a range of accommodation. Lunchtime sessions were a great idea. The tiered theatres ensured that all had an opportunity to see the presenters. Papers available in soft copy. The Purple Patch People and the Greenshirts. Being able to attend sessions for which I didn't register. Having a forum to meet and mingle with fellow enthusiasts. The coffee stand in the foyer. Feedback from many that the pre-Congress Hangout on Air was helpful. Sessions on Society Management were absent from the program. As this is a conference for a Federation of Societies this should be a stream in the program. Societies were generally absent from the exhibition space. It would have been nice to have a spot where smaller societies could leave promotional material for interested parties. The notice board was not announced - I found it in a corner on the last day. Two overseas speakers repeated talks from Congress 2015, I was caught. Too many speakers read their papers. (They should have attended Paul Milner's lunchtime session on presentations). Several speakers didn't submit papers or offer links where their presentations/papers could be downloaded. Recycled overseas speakers. There are plenty of fish in the ocean, it would be nice to see fresh faces visiting our shores. Too many 'chalk and talk" lecture style session. There was no function in the Exhbition area to force encourage attendees to linger longer. Perhaps the lunchtime sessions drew people away from exhibitors. Wonder if the Interests Register was a success and worth the effort. I had no contacts. Do we really need a conference bag? I disposed of all the advertising material in my Conference Bag. Is there some other way to distribute sponsor bumph? Technology in Royal Theatre wasn't set up to deal with presentations containing hyperlinks. The opening function was at dinner time. As it's a reception with minimal food perhaps it should be scheduled at the cocktail hour. There were no hands-on computer lab sessions. Thanks to everyone who read my Congress blog posts and to my co-bloggers Shauna and Pauleen. I feel like I've been on an express train ride since last Friday with Easter celebrations, school holidays and house renovations but I have managed to keep up with blog reading! Among the deluge of blog posts I have read are reports from AFFHO Congress 2015. I enjoy reading these reports especially those that tell of sessions I did not attend. Several hundred folk have visited the list of links I am compiling in my Reflections of Congress post and new ones trickle in each day. 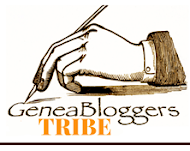 Several geneabloggers who were at Congress have not yet written reports on their activities so please keep returning to the post to read the latest reports. 1. The Trans-Tasman ANZAC Day Challenge is running again this year. Please consider contributing a post. 3. There were many diabetics in my family who benefitted from insulin, thanks Anne for this piece of history. 4. I wish there was one of these at a library near me. 7. A touch of luxury for Original Kin's Dad. 8. I like Janet Few's work so am adding this to my reading list. 9. Al, an octogenarian geneablogger from my district, has been travelling around. 10. Who remembers Sunday School picnics? 11. Jess writes of a Prince who passed by. 12. A guest blogger contributes to the John Oxley blog.